12Gb HD-Mini To HD-Mini SAS Cable 6 m, Customer KitThe SAS Cable is a serial link that creates a point-to-point connection between devices. This product has been tested and validated on Dell™ systems and is supported by Dell Technical Support when used with a Dell system. It is ideal for high connectivity. 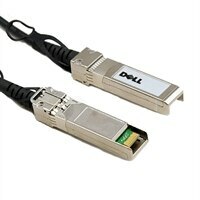 The SAS Cable is a serial link that creates a point-to-point connection between devices. This product has been tested and validated on Dell™ systems and is supported by Dell Technical Support when used with a Dell system. It is ideal for high connectivity.